Loons, Girl Scouts Team Up For Dow Diamond Sleepover! 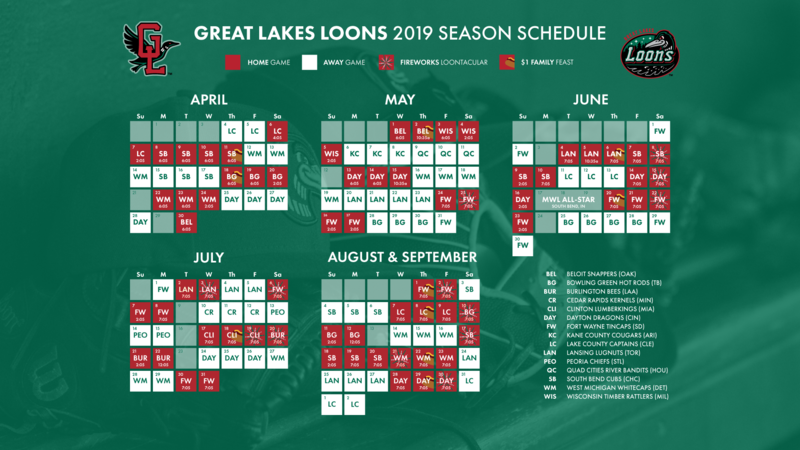 MIDLAND, Mich. - The Great Lakes Loons and Girl Scouts Heart of Michigan are pleased to partner for the Girl Scout Family Night and Sleepover event at Dow Diamond on June 13. The event is scheduled on a night when the Loons play the Lansing Lugnuts, and will include two options for participants. The Game Only option will give participants the opportunity to watch the game, take a behind-the-scenes tour, receive a patch, and meet and greet with Lou E. Loon - the Great Lakes Bay Region's Amabassador of Fun! The Game and Sleepover option will include all of the above plus a post-game dance party, a movie shown on Dow Diamond's video scoreboard, as well as the opportunity to sleep on the field. All participants must supply their own tent. Males will sleep in a separate area and must also provide their own tent. The Game Only Option is $8 per participant until June 4 and $11 after. The Game & Sleepover Option is $15 per participant until June 4 and $18 after. The sleepover will last until 7 a.m. Saturday. Dow Diamond is located at 825 E. Main St., Midland, MI. A special prize will be awarded to the troop or Girl Scout family who show the most Girl Scout spirit. To reserve tickets, fill out a Girl Scouts Heart of Michigan program registration form and roster (attached), or register online at gshom.org. Participants are ask to bring a blanket to sit on in Girl Scout lawn area during the game. The Loons are an eighth-year Single-A partner of the Los Angeles Dodgers. For tickets or more information about the team, call 989-837-BALL or visit loons.com.